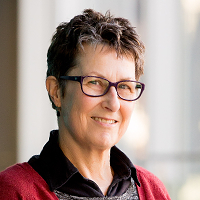 Beth Gaze teaches Equality and Discrimination Law and Administrative Law at Melbourne Law School. Her research interests are in anti-discrimination and equality law, feminist legal thought, administrative law including tribunals, and socio-legal research including empirical research. She has held several ARC grants, and has conducted empirical research into the enforcement process under Australian federal anti-discrimination law, the experiences of applicants in the social security appeal tribunals, and the operation of the adverse action provisions of the Fair Work Act. She has been a member of several state and federal tribunals, a consultant to the Victorian Parliament and the International Labour Organisation, and has participated in law reform processes and committees at state and federal levels. Beth has degrees in science and law from Melbourne and Monash Universities and the University of California (Berkeley) as well as a postgrad diploma in Psychological Studies. She has been admitted to legal practice in Australia. She is a member of the Centre for Employment and Labour Relations Law and the Centre for Comparative Constitutional Studies.